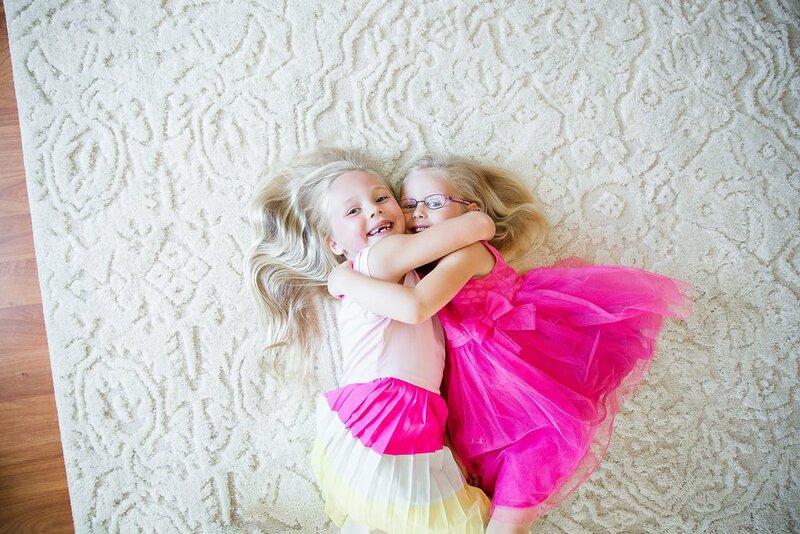 If you have children or furry friends, you probably understand how difficult it can be to try and find the perfect area rug for your space. 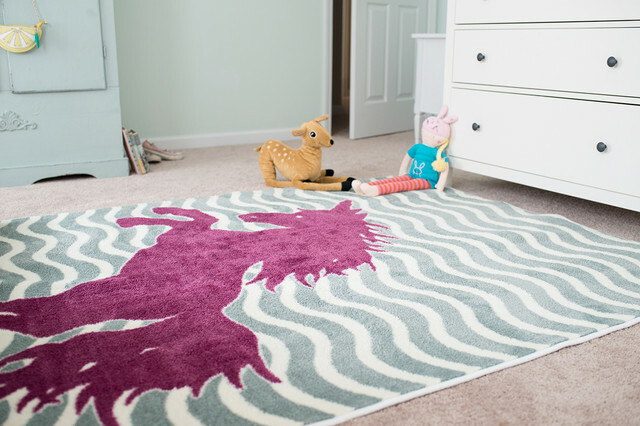 In high traffic areas and kids’ rooms, you need a rug that can withstand the heavy wear and tear that comes from busy feet (and paws). If you’re like me, you want to make a stylish statement too! Softness is also important, since your little one will likely be spending a lot of time in the floor—coloring, playing games, practicing gymnastics, enjoying an afternoon snack or curled up with a good book. In a nursery, the rug should be large enough to anchor your furniture (with front legs of a crib on the rug) or small enough to sit independently. You can use accent rugs to highlight smaller areas, in front of a teepee or book nook. Nylon is a synthetic fiber known for its superior durability. It is ideal for high-traffic areas and is a great fit for kids’ rooms. Mohawk’s polyester EverStrand fiber is made to withstand crush and wear, constructed from recycled plastic water bottles. A pretty rug that’s eco-friendly, too? Now there’s a choice moms and dads can feel good about! If your space already has lots of patterns and colors, opt for a simpler, versatile rug with neutral colors like gray, beige, or taupe. If your furnishings are mostly neutral, add a splash of color to your space! Pick a playful pattern or a shaggy style with texture to create visual interest. Don’t be afraid to get your child involved in selecting a style that suits his or her personality. Don’t forget a rug pad to prevent slipping, bunching and wrinkling of your rug, reducing any trip hazards. Mohawk’s Dual Surface pad is made for use on hard flooring or soft carpeted areas. Still have questions? We’re here to help! Leave us a note in the comments below.